Get one of the best sippy cups available by comparing leading baby product brands on our website. Phillips Avent customers were most satisfied overall with the cups for their babies, achieving top ratings in five of the seven rated criteria. What’s hot – and what’s not – when it comes to baby product purchases? 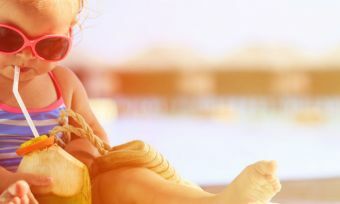 Parents who responded to our recent survey have revealed some of the (arguably) unnecessary items they buy for their babies, and the results reveal an interesting tapestry of spending habits. Sensible items used regularly are more likely to be owned by a majority of parents. For example, nappy bags are popular with 79% of mums and dads, as are baby sleeping bags and hooded towels (both purchased by 66% of parents). On the other hand, items like bottle washing baskets for dishwashers (14%), and breast feeding aprons (13%) are less likely to be an investment for parents. Our search also found only 12% of households earning up to $29,999 per annum invested in a baby monitor, compared to the 29% of households earning between $80,000 and $119,000. 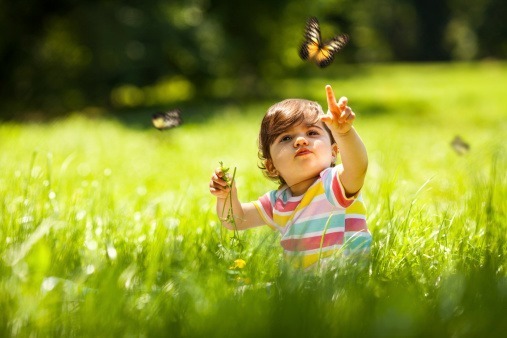 While there are a lot of products available for babies and small children, there are some essentials parents would be hard pressed to do without. We’ve compared baby cup brands – also known as ‘sippy cups’ – in our 2013 Parent’s Pick Awards to help you select a winning product for your child. We found that Philips Avent customers were most satisfied overall with the cups for their babies, winning this brand our award. Philips Avent has also received our 2013 baby bottles Parents Pick award. Heinz achieved five stars for its size and shape, and also for the visual appearance of its cups. Philips Avent scored a five star rating for baby cups overall satisfaction in¬¬ our Parents Pick award. Tommee Tippee and Take & Toss each followed with four stars apiece; Nuby and Heinz closed with three. Unlike their name, Take & Toss might be a brand you’d like to keep around the house – being our five star recipient for sippy cup value for money. Nuby and Heinz both achieved four stars for their value, and Philips Avent and Tommee Tippee each received three. If you need a baby cup that can withstand a bit of punishment, Philips Avent received five stars for its durability. Both Tommee Tippee and Heinz followed with four stars each, and Take & Toss and Nuby finished with three. Babies don’t mind making a bit of mess, so make it easier on them – and yourself – with a cup they can easily drink from. Philips Avent customers were most satisfied with the ease of which babies could drink from their sippy cup. Five stars went to Philips Avent, followed by four star recipients Take & Toss, Tommee Tippee, Nuby and Heinz. Philips Avent, Tommee Tippee and Heinz achieved five star ratings for the size and shape of their cups, ahead of four star recipients Take & Toss and Nuby. Philips Avent was awarded five stars for the reseal function of its baby cups; Tommee Tippee, Nuby and Heinz achieved four stars, and Take & Toss received three. Finding your baby a sippy cup with their favourite characters or colours can make feeding time a better experience for them. Heinz customers were most satisfied with the visual appearance of their baby’s cup. Following the five star achiever was Philips Avent, Tommee Tippee and Nuby with four stars, then Take & Toss with three. 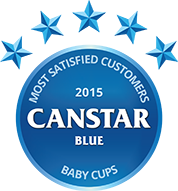 These baby cup ratings are part of our Parent’s Pick Awards, where we commission Colmar Brunton to survey 1,300 Australian parents aged 18-40 years old with at least one child aged three years and younger to measure and track customer satisfaction over a number of categories. The outcomes reported are the results from parents within the survey group who have purchased a baby cup (i.e. sippy cup) in the last six months – in this case, 654 people. Australian safety standards for baby carriers and baby slings, and how to use them safely. What to look for in a carrier or sling.